Ridiculous plate aside, this is the most beautiful Beef Rendang I have ever eaten. I have tasked myself, quite unfairly, with the incredibly difficult endeavour of reviewing this masterpiece. Last month I made a “Save With Jamie” Beef Brisket Rendang, and it was (sadly) terrible. I really couldn’t eat it. Rendang is supposed to be a really flavoursome, rich and delicious curry. This month, I spotted Lamb Rendang in the Taste magazine and noticed a much richer spice combination in the ingredients list. Seeing that Tamarind features in this dish, I decided I had to give this one last attempt. This was phenomenal; rich, flavoursome, complex, all the good things you read that a Rendang should be. Jamie Oliver eat your heart out! I know he is campaigning against sugar right now, but even if you entirely leave it out, this would still be phenomenal. Arancini means “little oranges” and I first tasted this marvel in Agrigento, Sicily, about five years ago. Although the one I had was more of a “massiccia arancione”, it was slightly larger than a cricket ball with a rich bolognaise filling, but it was love-at-first-bite. Let’s be honest, the thought of celery soup does not inspire hunger, right? Think again! This was unbelievably delicious! Delicious and homely! 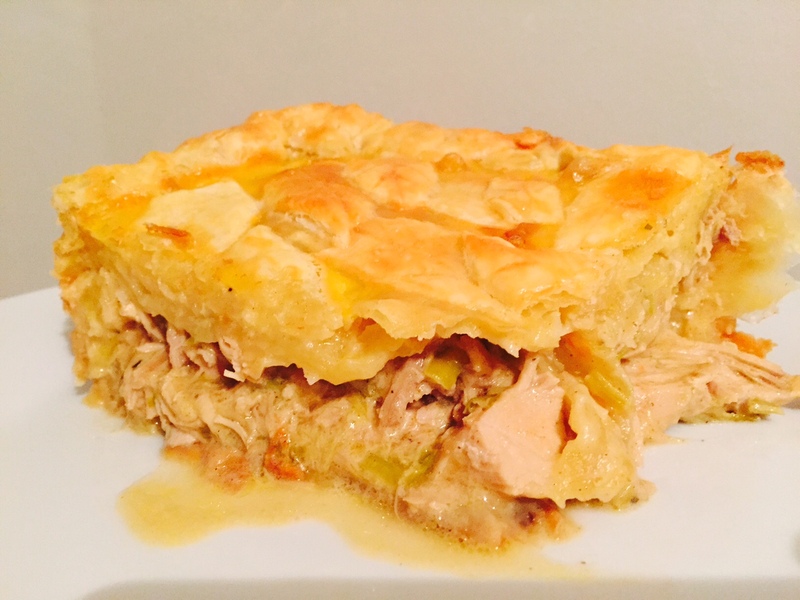 Quite a simple recipe that packs amazing flavour; this recipe is a winner for a winter lunch feast!I loved how simple the filling is; leeks, garlic,sage,cider, chicken stock,crème fraîche, Dijon mustard, cider and rotisserie chicken. Fills the home with a gorgeous aroma.